I am a natural light photographer specializing in maternity and baby portrait photography from newborn to 12 mos. I have a boutique home-studio where I hold my newborn sessions, complete with an organic changing station and a ‘parent’s corner’ with comfy chairs and resources for new parents to browse during their session. My goal as an artist is to create a timeless piece of art for my clients to enjoy for the rest of their lives. I work to capture irreplaceable glimpses of life, whether it’s a new mother-to-be sharing a moment with her growing belly, or a fresh newborn snuggling up into a womb-like curl. Every image I create reflects love and the miracle of life, and is intended to be turned into a stunning piece of custom artwork for my clients’ homes. I find inspiration in every day adventures. The joy that comes from living in the moment. The beautiful changes in weather and light (particularly in Florida during the summer),when the bold blue sky shifts into a tumultuous thunderstorm that passes over in a mere 15 minutes, leaving behind warm sunlit raindrops that glisten off the trees and road. The colors in the sunset that are never the same as the evening before, but are equally as beautiful. The plants and trees, the lizards, squirrels and birds that all co-exist in my backyard so harmoniously with no effort. Nature inspires me to live in the present. Living in the present inspires me to love deeper. And that deep love inspires me to make a forever impact on my clients’lives by capturing a piece of their own flawless ‘weather’ to forever hold onto. Your business is an eco-friendly photography company. Can you tell us some of your "green" practices? In addition to working without artificial light, I keep my energy consumption low by having a home-studio which runs off of the energy already being used for my house. All payments,receipts, contracts, etc. are managed digitally, greatly reducing the need for paper. My packaging for products is all comprised of recycled and biodegradable materials. The few studio props I do use are ones that I’ve ‘upcycled’ from garage sale finds and from my local salvage yard. My newborn changing station is comprised of an organic cotton changing mat, eco-friendly diapers, and organic cream, powder and lotion. All of the products I offer to clients are made with sustainable resources and/or come from print labs that have environmentally sensitive procedures in place. 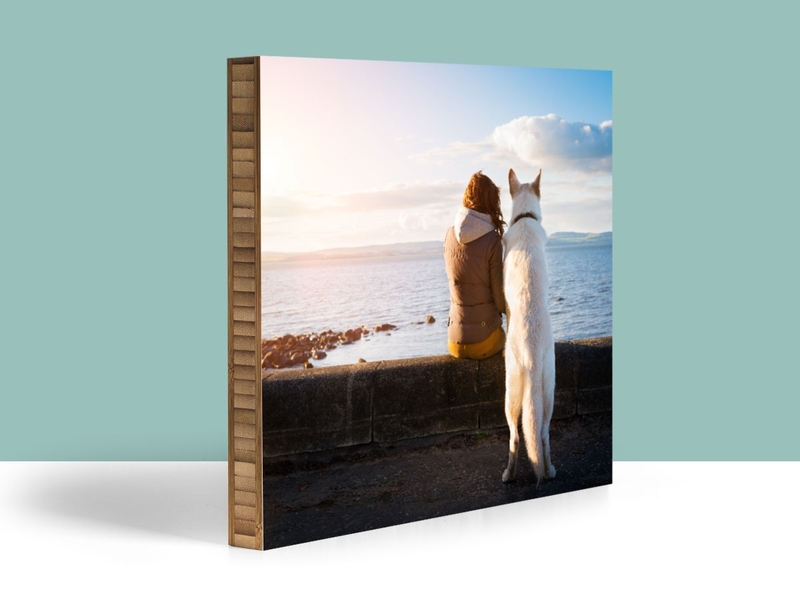 For example, our gallery wrapped canvases come from a facility entirely powered by wind! I, the photographer, am fueled by mostly organic and vegetarian food. I live an eco-conscious lifestyle and it is absolutely important to me that my business also leaves the smallest footprint possible. 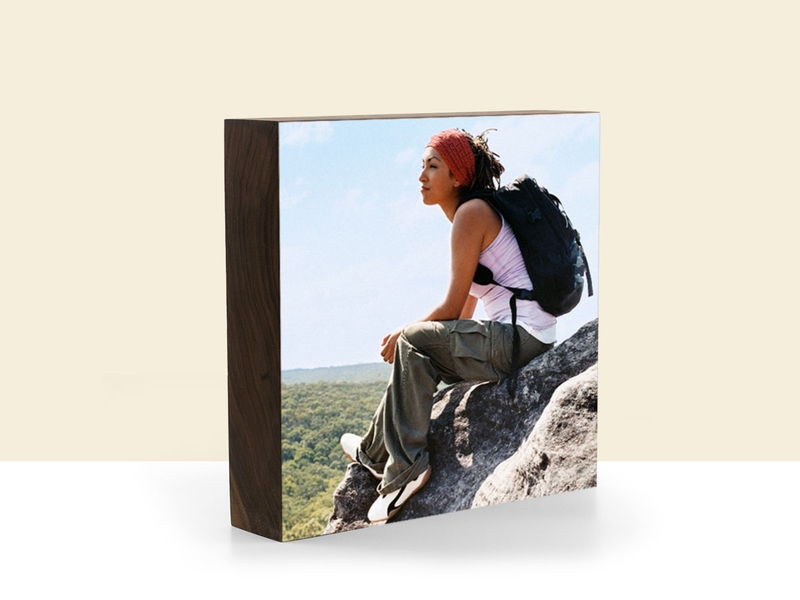 Why do you chose to show your prints of your artwork on Plywerk? When I was first seeking out vendors for my collection of ‘eco-friendly fine art’ product offerings, I knew I wanted something made from bamboo. Bamboo, being a rapidly growing grass, has always been one of my favorite materials.I have patches of bamboo in a variety of types in my backyard and my studio’s floor is made of bamboo. Portland is also one of my favorite places in the world. When I found Plywerk online, I not only loved their use of my favorite sustainable resource, but also their consistent branding and culture. As soon as I received my first Plywerk panel, I was sold. Their attention to detail, high quality materials, quick turnaround and customer service were incomparable. I love how clean-lined the panel’s design is,how the subtle siding of the bamboo makes the mounted image pop and the fact that I have never seen anything like it before. 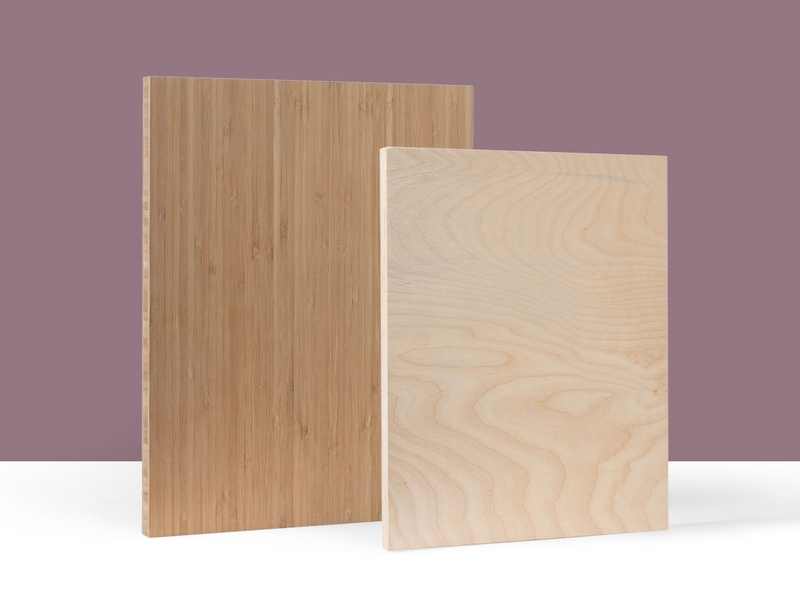 Plywerk art pieces are both my, and my clients’, absolute favorite products that I offer. How do you keep yourself motivated and your artwork fresh? Much of my motivation comes from the genuine excitement I have before each session to see and play with my baby clients! The majority of my clients schedule my ‘Baby Plan,’which means I get to work with them to capture every big milestone of their first year of life; bump, newborn, three months, six months and one year. Very quickly I develop a relationship with these families and find myself missing them between sessions! It still amazes me how fast babies grow in a mere three months, and I absolutely love getting to watch them grow and their unique personalities develop in such a short amount of time. To keep my artwork fresh, I spend a little time each month shooting for myself and myself only. I’m very drawn to nature and have developed a passion for both landscape and macro photography, with which I’ve decorated my house on m favorite 16x24 Plywerk panels. I find that taking time away from ‘client work’ and shooting for myself enables me to stay creative and interested in my art. What is the hardest part about working with babies? The best part? The hardest part about working with babies is having to hand them back over to their parents at the end of their session! haha! But seriously, I develop such a love for these sweet souls, especially since I’ve known most of them since they were only 7 or so days old! I’ve even captured a few of their actual births, and often visit with my clients between sessions just to get some cuddle time with them (their babies, that is:)) Building friendships with my clients and watching their babies grow is by far the best part of my job. It’s such a dream come true to be able to make a living from doing what I love. The most challenging part of working with babies is the patience that’s needed, particularly during their newborn session, although I don’t mind the ‘behind the scenes’ comforting at all! Birthwithoutfearblog.com - This amazing network inspires, supports and empowers all women on their journeys through pregnancy, birth and motherhood with peace, love and healing. It’s so important for women to be informed of, and understand, all of their birth options, and receive unconditional support for whatever path they may decide is best for them. Assuming it was a very large sum of money, I would pay off my house, buy a house in Washington State, South California and New Zealand, give one million to each of my family members, invest one or two million, and donate the rest to charities around the world. The power to turn fear and hate into love and compassion. I would choose to stay the age that I am now, 28. It’s such an exciting time in my life; I just got married this past April, we’re working on renovating our first home, starting to talk about having children, I’m healthy, extremely happy, and my business is successful. I feel very proud of whom I have become and although accomplished, I have so much life ahead of me. A flat white made with Coava coffee and almond milk. 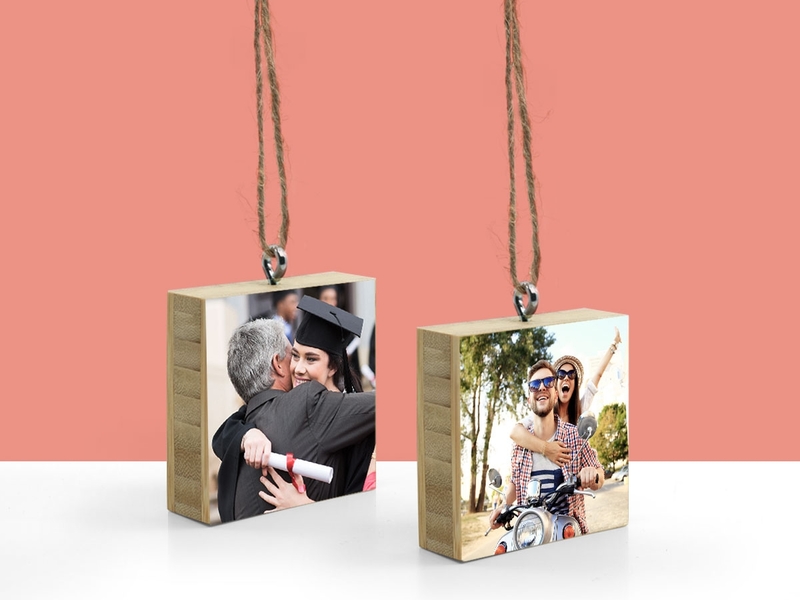 Post a comment about Cassie's work below and you will automatically be entered to win one of her images on our 3/4" bamboo Plywerk! We’ll select a winner at random at the end of the month so make sure you come back to the blog in early October to see if you won and to check out the new featured artist! We’ll ship it anywhere in the US for free. This entry was posted in Featured Artists on August 29, 2014 by admin. I'm originally from southern Wisconsin and I began my creative career as a Color Stylist for Walt Disney Feature Animation. For the past decade, I've worked as an independent fine artist. I celebrate the world around us by creating original cityscapes and landscapes. My cityscapes are visual diaries of cities I've visited, including locations like New York City, Philadelphia, London, Paris, Milan, and many more. My landscapes focus on the gorgeous Pennsylvania mountains and woodlands around our home. In essence, I'm a country mouse who also enjoys the city. I work in soft pastel, dried sticks of pigment applied over textured grounds, and in oils on linen. I sell my artwork at outdoor art shows throughout the East Coast and online through www.sarahpollock.com. I see the world with "the volume turned up." Although I work in a realistic style, I heighten the color and contrast of my subjects for added punch. I'm very interested in the play of light and shadow, and the harmony of color in my subjects. What's your goal as as artist? It may sound a little cliché, but I try to live the dream. I always dreamed of being an artist when I was a young child. I couldn't see myself as anything else although I worked some other jobs in animation and web development before I reached a point in my life when I could pursue this dream. At the time when I decided to become an independent artist, I resolved always to work hard to make my vision happen so that I would be at peace in my heart that I was making good use of my talent and giving myself the best chance to succeed. I never wanted to be one of those people who reached a milestone birthday late in life and then looked back with regret and said to herself, "Oh, coulda, woulda, shoulda." None of us have a guarantee on tomorrow. We only have today to make our dreams happen. I wholeheartedly believe that there's beauty all around us. We just have to keep an open mind and allow ourselves to see what's out there. The right light can totally transform a subject, taking the ordinary to something exceptional. The question is, will we slow down and give ourselves the opportunity to recognize inspiration when it presents itself to us? What do you think is the most important influence in your art? Well, this may not sound very lofty, but here goes: Hard work. I grew up in the upper Midwest in the late 70s and 80s. There was an ethos that you make your own luck in this world. From this foundation, I've always believed in the importance of continuing to learn new things and of challenging myself. I think it's really important to continue learning throughout one's life. If you reach a point in your creative work where you feel like you're comfortable and you totally know what you're doing, then you're doing something wrong. I learn by exploring diverse interests and I add the ideas gleaned from these interests into my artwork. For example, just this past year I added oil painting to my artwork. It's a fun new challenge, like learning a second language, and I'm enjoying the process of realizing my ideas in this new medium. I'm a geek at heart, so I love to read, to explore new places, and to pick up inspiration from quirky sources. My cityscapes are contemporary subjects, and Plywerk's bamboo blocks are a perfectly modern way to present these subjects. I dub my artwork prints on Plywerk as "City Blocks." They offer my clients an elegant way to easily put a pop of vibrant color on their walls without having to deal with conventional framing and presentation. How do you keep yourself motivated and your paintings fresh? I try to keep my balance in this world. Independent creative work can be totally consuming because there aren't defined work hours, regular paychecks, and coworkers to buoy you during off periods. Many a musician and artist have lost themselves in an unhealthy way to their creative pursuits. To prevent burnout, I carve out time to spend with my family, I exercise (fairly) regularly, I explore other interests through books and classes, and I give myself downtime to just veg out and listen to music or stare off into space. Then when I get back to my easel, I'm able to give my ideas my best effort. "Lost in the Dream" by the War on Drugs. Awesome tunes. The first thing I would do is give my parents a good chunk of the money as a gesture of gratitude for everything they did for me when I was a kid. Then I'd take the remainder and use it to travel around the world, with Istanbul, Turkey as my first destination. Did you keep your eyes on the prize? When my husband finds something utterly hilarious, he laughs so hard that it's difficult for him to catch his breath and I refer to this as his "supersonic" laugh. It always makes me smile to hear that. 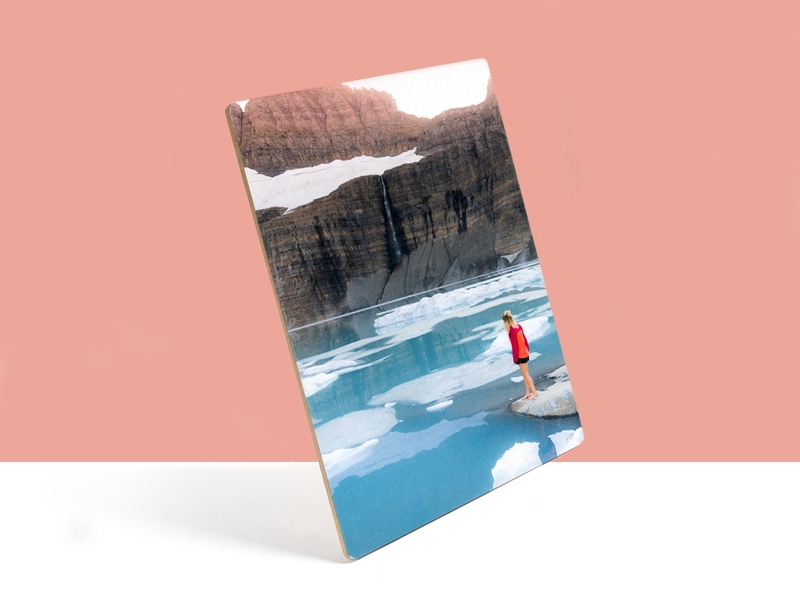 Post a comment about Sarah's work below and you will automatically be entered to win one of her images on our 3/4" bamboo Plywerk! We’ll select a winner at random at the end of the month so make sure you come back to the blog in early September to see if you won and to check out the new featured artist! We’ll ship it anywhere in the US for free. This entry was posted in Featured Artists on August 1, 2014 by admin.